HYPERFORMANCE Motorcycle | Think Big! Think Fast! Are you a risk-taker, always searching for the next thrill? 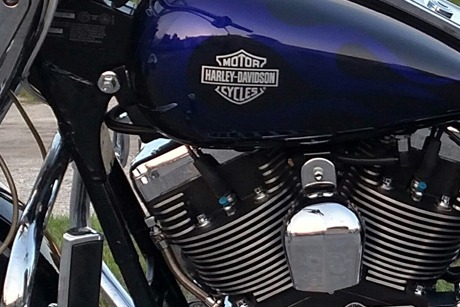 Want to take your current motorcycle to the next level? 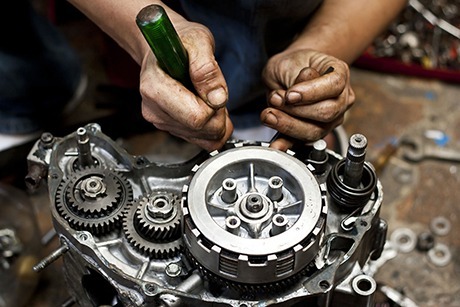 We specialize in altering motorcycle engines for optimal performance and reliability. Use the best products, materials, and services. Our passion is to be the best Performance and Service shop. Our core focus reflects this. Our choice of products and materials reflects this. We have been out to Colorado, Yellowstone twice, and Black Hills on this motor and even in the blistering heat, it has run without ANY issues and the engine ran cooler than the stock motor did. A tour through the Hyperformance shop is a real treat. Radical engines in various stages of completion lurking everywhere! One Randy’s HyperPacks™ (including a pair of welded and machined OEM heads and related parts) can wake up enough dormant power in your ride to “fold your feet back like a duck.” Give the King of Cubes a call to discuss your plans. Randy is a human dynamo. Beneath his deceptively calm exterior breathes the soul of a top fuel engine!